This is the 38th book selection in our Book of the Month series. Yet, as hard as I’ve tried to include the most significant books ever written, this is only the second that is certified by the literati to be one of the 10 Greatest Books Ever Written. The other is Victor Hugo’s Les Miserables (September 25, 2013). Because of its great length, I gave our readers two months in which to digest it. 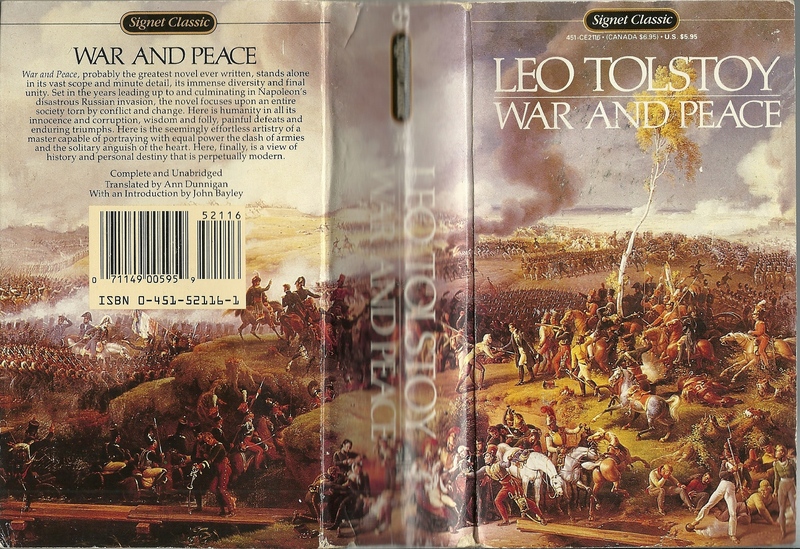 Since the unabridged versions of War and Peace are 1400 pages long, it seems both wise and humane for me to give Book Club members both February and March to read and fully digest the book. As always, I urge/beg our readers to be satisfied with nothing less than the unabridged text of a translation that has stood the test of time. War and Peace so towers over the history of prose literature that it ought to be on every literate person on earth’s Bucket List, to read before they die. It is particularly timely right now because Russia has been, for some time, in every day’s news: What will Putin do next to try and get back every country Russia lost after the fall of the Berlin Wall? Once you fully digest Tolstoy’s epic, you’ll never again be able to look at Russia simplistically again. One of his ancestors, Count Peter Tolstoy, had been a celebrated statesman during the reign of Peter the Great. Tolstoy’s father, Count Nicholas Tolstoy, had married Princess Marya Volkonski, an heiress with a great fortune. Leo was one of five children. Sadly, his mother died when he was only three, and his father six years later. So the boy was raised by his Aunt Tatyana, who he’d always adore. The children were all born on the Princess’s ancestral estate, Yasnaya Polyana (about 200 miles southwest of Moscow). Leo would study with tutors until he was old enough to attend university classes. Though he attended two, he never graduated from either. Thanks to his aristocratic connections, he was able to attend society’s balls, soirées and parties in Kazan, Moscow, and St. Petersburg. Early on, he lost faith in Christianity because of the wide variance between belief and daily living. At that time, atheism appeared to be the only rational alternative to him. Without any spiritual keel, he became a heavy drinker, reckless gambler, and frequenter of brothels. He even lost his ancestral home, Yosnaya Polyana, for a time because of his out-of-control gambling. So it seemed wise to join the army in its wars in the Caucasus Mountains and Crimea (it was then that he contracted syphilis). Eventually, he came to his senses, realizing that atheism provided no hope at all. Thus he once again turned to Orthodox Christianity. But he was disillusioned so often that he would spend the rest of his life formulating his own type of Christianity, based almost solely on Christ’s earthly ministry as chronicled in the Gospels. This evolution of his spiritual philosophy of life would take the rest of his life. At 34, he belatedly decided to settle down. He settled on a lovely eighteen-year-old, Sonya Behr. She had a graceful figure, great vitality, high spirits, and a beautiful speaking voice. On their engagement night, he almost lost her, when he lent her his diaries, in which he’d faithfully recorded not only his hopes and thoughts, prayers and self-reproaches, but also his perceived faults, including detailed descriptions of his many sexual escapades and liaisons. Sonya read and wept all night. By morning, her virginal attitude towards life was so seared, she never fully recovered. Almost, she broke the engagement, but finally forgave him–but she never forgot. During the first eleven years of marriage, the Countess would bear eight children; during the next fifteen, five more–thirteen in all. And then . . . he was 36 years old, in the prime of life, when he began writing a book about Russia’s Decembrist Revolution. But he kept wondering more about the events of 1812 when Napoleon invaded Russia–and in so doing, changed the course of world history. He now moved the heart of the novel to 1812. Initially, the book was primarily about family, life among the gentry, the historical incidents merely a background. But the book grew . . . and kept growing. Sonya hand-copied the entire book. Eventually, apparently, seven times! before her husband was satisfied with it. It would be published during the six years it took to write it, in installments (1865-1869). First, he’d read segments aloud to his family. They quickly realized that there were real people they knew whose personalities were woven into the novel. Though around 500 characters people the epic, four families are central: the Rostovs, the Bolkonskis, the Kuragins, and the Bezukhovs. • It is said that the thriftless Count was inspired by Tolstoy’s grandfather. • The pathetic yet charming Princess Mary, by his mother. • The two “heroes,” Pierre Bezukhov and Prince André, it is generally concluded that they were modeled on Tolstoy’s own divided persona, and that he wrote the book in order to better understand himself. Alike in that, just as was true with himself, both characters seek mental peace, the answers to the mysteries of life and death, and neither finds it. Both are in love with Natasha, Count Rostav’s younger daughter. Maugham maintains that, in her, Tolstoy has created the most delightful girl in fiction. Natasha is undeveloped when the story begins: entirely natural, sweet, sensitive, sympathetic, willful, childish, already womanly, idealistic, quick-tempered, warm-hearted, headstrong, capricious, and in everything enchanting. Tolstoy would go on to create many memorable women, but never another who wins the affections of the reader like Natasha. Apparently, Natasha was modeled on Sonya and her sister, Tatiana. But for Tolstoy, the real hero of Napoleon’s invasion of Russia was the Russian Commander-in-Chief, General Kutusov. Why? Because he did nothing, avoided battle, and merely waited for the French armies to destroy themselves. 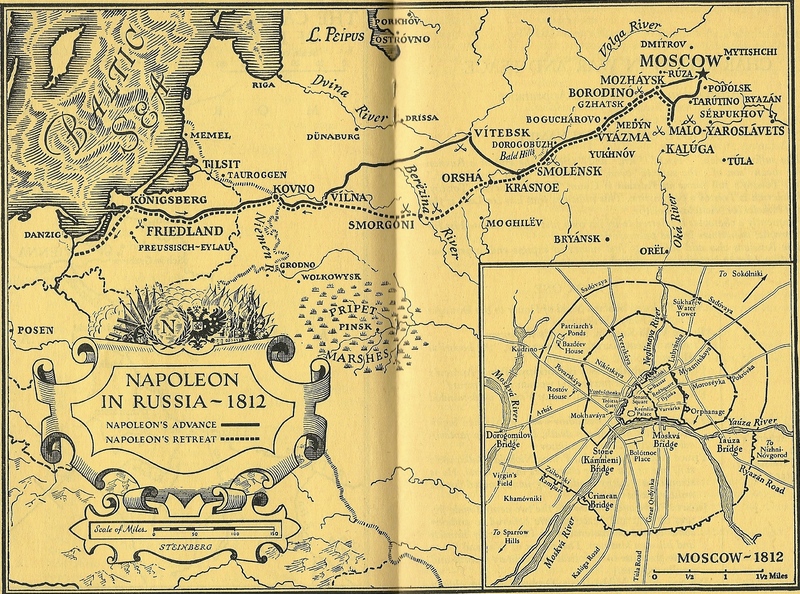 Just let Napoleon lead his armies so deep into Russia that his lines of communication can easily be severed. Result? The “Little Emperor” reaches the point where his once vast army is so thoroughly demoralized they’re nothing but sitting ducks for the Cossacks who sweep in and out, free the Russian prisoners, seize valuable supplies, and pick the French off, one bullet at a time. Thus, the force dominating characters of the novel are Pierre, Prince André, Natasha, and Kutusov. Kutusov because, unlike vainglorious self-centered Napoleon, he remains humble, selfless, unmoved by personal glory. Helen Muchnik maintains that, in the book, all the panoply of war, all its supposed military heroes, are secondary to events and forces beyond their control, secondary to what participants make of themselves. John Bayley maintains that marriage is the novel’s ultimate theme, its climax, its apotheosis. The book ends with marriage, and features more happy marriages than in any other novel. Furthermore, that Tolstoy had planned and replanned the development of these destinies with such immense care, interweaving what actually occurred in history with his own invention of what must occur to complete and justify the fiction, until the reader can no longer see where truth ends and fiction begins: what happens appears inevitable. A prodigious one-of-a-kind tour de force—the world’s greatest novel. First of all, seek out a complete unabridged text. Then, over the next two months revel in a book unlike (and unequaled) any other. Vincent F. Hopper and Bernard D. N. Grebanier’s Essentials of World Literature, Vol. Two (Woodbury, New York: Barron’s Educational Series, Inc., 1952). Maugham, W. Somerset’s W. Somerset Maugham Selects the World’s Ten Greatest Novels (Greenwich, Connecticut: Faucett Publications, Inc, 1958). Muchnic, Helen, An Introduction to Russian Literature (New York: E. P. Dutton & Co., Inc., 1947, 1964). Aylmer Maude’s Introduction to War and Peace (New York: The Heritage Press, 1938). John Bayley’s Introduction to War and Peace (New York: New American Library, 1968, 1980). Another Winter Olympics is almost history. And it will be sad to see it end. Sad because in all the world there is nothing like it. Oh there are so many stories to tell in such gatherings. Yesterday, anchorwoman Meredith Viera was asked by Matt Lauer what impressed her most about this particular Olympics. Without missing a beat, she shot back: “The people.” “The Russian people.” She noted their deep unabashed pride in their nation, the evident pleasure it gave them to show visitors around or tell them about why their nation is special, unique. During the last couple of weeks, a number of the pundits have pointed out another key variable in this particular Olympics. The opportunity to once again feel proud of their country. For the fall of the Berlin Wall dealt a terrible blow to Russians’ feelings of self-worth. We chuckle a little and say, “Get over it! You’re still the largest nation on earth.” But to them, it’s like large sections of their heart have been torn out. Just imagine if we had lost such a land-mass: Estonia (17,300 sq. m.), Armenia (11,506 sq. m.), Azerbaijan (33,436 sq. m.), Belarus (80,154 sq. m.), Estonia (17,300 sq. m.), Georgia (26,910 sq. m.), Kazakstan (1,049,150 sq. m.), Kyrgyzstan (76,640 sq. m.), Tajikistan (55,520,sq. m.), Turkmenistan (188,450 sq. m.), Uzbekistan (172,740 sq. m.), Ukraine (233, 100 sq. m.). Total 2,025,354 square miles. That’s the equivalent of two land masses the size of Argentina! Not counting the Eastern Europe satellites. No wonder that Vladimir Putin is trying hard to reestablish Russian pride as it was before 1991. But back to Sochi and Winter Olympics. Watching both the national (think medal count) and individual stories play out, we’re seeing a continual interplay of triumph and tragedy, euphoria and heartbreak. Just one little misstep or stumble separating a gold medal from elimination. All the harder to take such a loss given the single-minded day by day effort, practice, and struggle necessary to even qualify to be an Olympian. And the more the media hype before the slip, the more devastating the fall. Another reality is that the vast majority of participants have no illusions as to the odds of their making a podium. They train and come to an event such as Sochi for one reason: being a part of the greatest show on earth for two weeks. The camaraderie, the friendships, the experiences, the romances, the memories–all these are guaranteed to change their lives forever. And every two years of their lives, when a summer or winter Olympics rolls around, they vicariously live again the thrill of being part of the world’s largest and greatest tests of strength and skill. And how could we possibly forget the stunning beauty of the magnificent snow-capped Caucasus Mountains, now limned in our memory banks forever. As for we the viewers, we too are changed because we not only learn a great deal about the host nations, we too vicariously experience all the emotions, all the highs and lows, the Olympians do. Each of them becoming a part of us – for always. Some time ago, our daughter Michelle suggested we pose one question to our Book Club members each month. By responding (on Facebook), they could thereby get book discussions in motion that we have lacked up to now. With this in mind, here is Question #1: Generally speaking, or specifically, of what value are our book selections so far? In other words, how do they enrich your life? Change it? One of the requests from those who love books that came in during the last month was this one: Feature more of those classic books you edited for Focus on the Family and Tyndale House. Altogether, there were twelve. Four have already been Book Club selections: Charles Dickens’ The Christmas Carol (Nov. 23, 2011); Abbie Farwell Brown’s The Christmas Angel (Nov. 23, 2011); Grace Richmond’s The Twenty-Fourth of June (May 23, 2012); and Gene Stratton Porter’s Freckles (July 17, 2013). Some of you may wish to go back in time and retrieve those four if you haven’t done so already. The other eight are: Louisa May Alcott’s Little Women and Little Men; Daniel Defoe’s Robinson Crusoe and The Farther Adventures of Robinson Crusoe; Charles Dickens’ David Copperfield; Lucy Maud Montgomery’s Anne of Green Gables; Lew Wallace’s Ben-Hur; and this month’s selection: Quo Vadis. I would welcome your e-mailing or writing me with your suggestions: which of these would you like me to feature in this year’s Book of the Month selections? For each of the twelve books, I wrote an introduction to the book, a modest biography of the author (averaging about 40 – 60 pages); and discussion questions for teachers, parents, homeschoolers, individuals of all ages, at the back. And I did my best to feature the earliest illustrations used for that book, a list of that author’s writings, and movie history. Needless to say, all this was extremely time-consuming (some books taking a year to complete). Also each book was unabridged. It might surprise you to learn that a good share of the classic books sold today are abridged, but don’t so indicate! I consider that a betrayal! So, with that preamble, let’s move on to 2014’s first Book of the Month. Most books that we read barely register in our memory bank–they are there, but only dimly. Rarely does a book dig in its heels and demand that it be taken seriously and that it not be forgotten after you finish it and put it down. 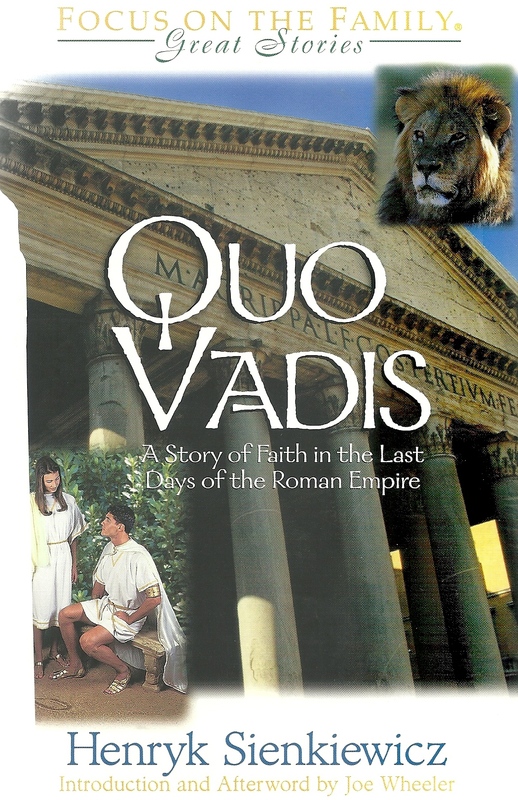 Quo Vadis is that kind of book. I first read it many years ago when I was young, and loved it for its excitement and panoramic windows into that long-ago world of the Praetorian Guard; the pomp and opulence of the Roman imperial court; the ludicrous yet malevolent Nero; the fascinating arbiter of elegance, Petronius; the opportunistic and amoral Chilo; the vindictive Tigellilnus; the slave girl with a secret love, Eunice; the forgiving physician, Glaucus; the Christian mother-mentor, Pomponia; the evil virago of an empress, Poppaea; the faithful courtesan, Acte; the apostle of love, Paul; the quo vadis apostle, Peter; the disillusioned old general, Aulus; the faithful Hercules, Ursus; the ruthless young tribune, Vinitius, and the great love of his life, the beautiful princess, Lygia–this incredibly real cast of characters comes to life as you read, and it never leaves you. In addition there is the kaleidoscopic imagery of racing chariots; decadent imperial banquets; the burning of Rome; torchlight processions into old graveyards; candlelit glimpses into foul, plague-ridden prison cells; Christians burning as living torches in Caesar’s gardens, crucified on crosses like their Master, beheaded like Paul, speared by gladiators, pulled apart by horses, gored by bulls and bisons, or savagely attacked by wild dogs, lions, panthers, tigers, and bears. It’s almost mind-boggling that Sienkiewicz managed to cram all this between two covers! It is not a book for small children, for it is powerful fare filled with violence. But for the rest of us, it serves as a reality check. Our society has so sanitized events like the bloody lashing of Christ. His falling to the ground under the weight of the cross, His humiliating stripping and public nakedness; the agony resulting from having a crown of thorns driven into His scalp, the nailing of His hands and feet to the cross, the ripping of His muscles as the cross is dropped into the hole, the public taunting, the terrible thirst, the brokenhearted death–yes, we have so sanitized all this that we completely miss the agonizing reality of Christ’s sacrifice for mankind. The same is true of the terrible period of Christian persecution unleashed by Nero, which we quaintly reduce to “the Christians and the lions.” Only as we read a realistic book like Quo Vadis can we genuinely conceptualize what it was like to be a Christian during those days when death was the probable price you would pay for your convictions. It is a sobering book. It is also about as historically accurate as Sienkiewicz could make it (exceptions noted in the Discussion Questions). So powerful was this 1896 book that in 1900, Sienkiewicz was awarded the Nobel Prize for Literature. Today, he is considered to be Poland’s greatest author. The title comes from a famous moment in the Apostle Peter’s life, when, as he was fleeing Rome and the wrath of Nero, God stopped him (at a still-pointed-out location in the then outskirts of Rome) with this question, “Quo Vadis?” [“Where are you going?”] After communing with his Lord, Peter returned to Rome, knowing that by so doing, he would die there a martyr to his faith. After the two-month marathon September Book of the Month, Victor Hugo’s monumental Les Miserables, I decided I ought to throw in a real change of pace. As I searched for a book generations of young people (as well as adults of all ages) have loved, I chanced to look at the most beloved shelf of books in my entire library: the books I cherished most during my growing-up years. Front and center was Lassie Come Home. Memories flooded in on me as I retrieved it, looked at my teen-age writing inside the cover, and remembered the impact of that first reading. My missionary parents [in Latin America] had given me a great gift: the gift of living with my maternal grandparents, Herbert and Josephine Leininger in their large rambling home in then almost perpetually foggy Arcata in California’s redwood country. I got to live there for my entire eighth-grade year. Given that I was named after their only son (of seven children), who drowned in a swimming accident when he was only ten, they – especially Grandpa, who declared, when the body of his only son was brought into their house, “The light of my life has gone out!” – I was given a double dose of grandparenting love that year. And almost every week, I’d be taken to a local book store with enough money to buy another book just for me. One of those books was Eric Knight’s timeless dog classic. I could not put it down, reading on to its conclusion sometime in the middle of the night. But now, I wondered, after over half a century, would the book still have the same power it did back then? Not to worry: it was near midnight before I reached that last page. I would guess that even though millions have read the book, many times that number will have seen the Lassie movies and been addicted to one of the longest-running series in television history. First of all, the author was himself a larger-than-life-figure: Eric Oswald Mowbray Knight (1897 – 1943) was born in Menston in Yorkshire [James Herriot country], England. His parents were both Quakers. His father, a rich diamond merchant was killed in the South African Boer War when Eric was only two. His mother then moved to St. Petersburg, Russia, to work as a governess of the Russian imperial family. She later settled in America. Knight had a varied career, including service in the Canadian Army during World War I, and along the way studied art, became a newspaper writer, and later on, a Hollywood screenwriter. His first novel, Song on Your Bugles (1936) depicted the working class of Northern England. His This Above All is considered to be one of the most significant novels of World War II. 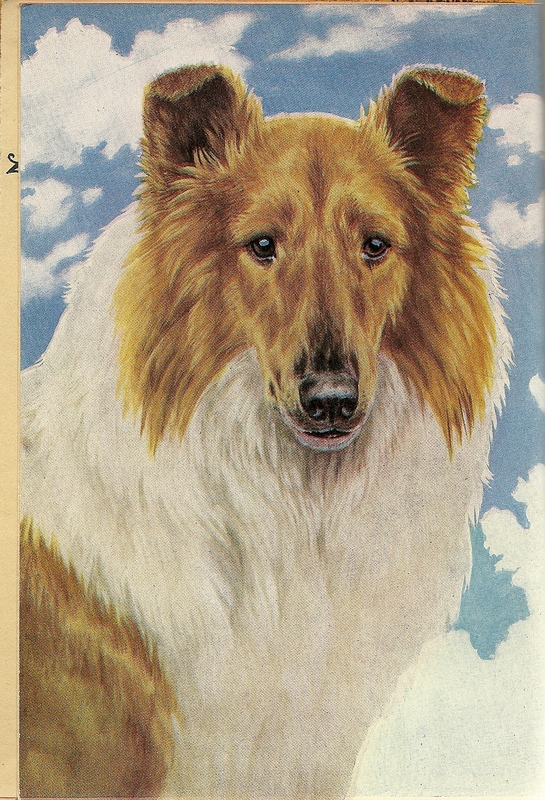 But it was his 1940 novel, Lassie Come Home, that catapulted him into worldwide iconic fame. Knight and his second wife, Jere, raised collies on their farm in Pleasant Valley, Bucks County, Pennsylvania, from 1939 to 1943. 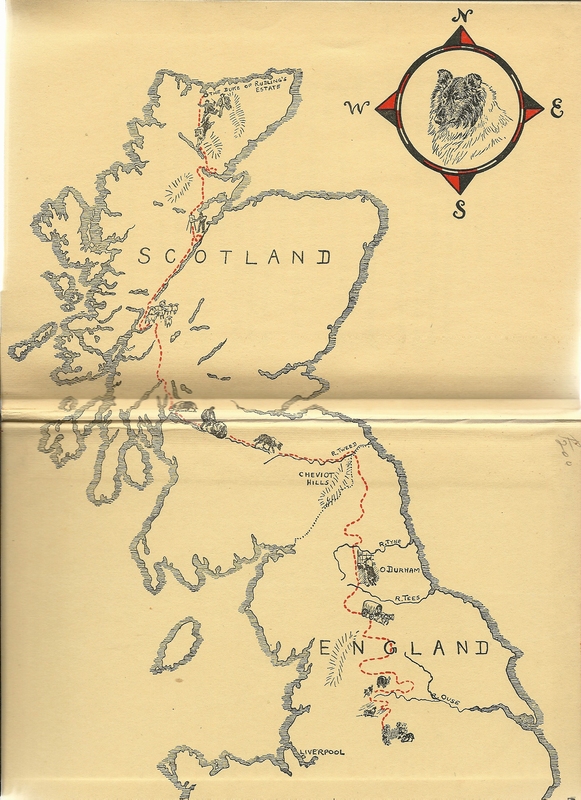 Though Knight then lived in America, the setting for the novel was back in the Yorkshire of his childhood, hence the Yorkshire dialect in the book. Knight met an untimely death in a plane crash in Dutch Guiana (Suriname) in 1943 –he was only 46. The MGM movie, Lassie Come Home (1943), was directed by Fred M. Wilcox and produced by Samuel Marx. It had a powerful cast: Roddy McDowell, Elizabeth Taylor, Donald Crisp, Elsa Lancaster, May Whitty, and Edmund Gwenn. Pal starred as Lassie. Half a century later, in 1994, Daniel Petrie and Lorne Michaels directed and produced Broadway Paramount’s Lassie. Unlike the earlier film, this one is set in Virginia’s Shenandoah Valley in a modern setting. Actors included Thomas Guiry, Helen Slater, Jon Tenney, Brittany Boyd, Frederic Forrest, and Richard Farnsworth. In television, CBS’s Lassie ran an astounding 21 years; the main series from 1954 to 1974. During those years, its stars included Tommy Rettig, Jan Clayton, George Cleveland, Donald Keeler, Paul Maxey, Jon Provost, Arthur Space, Cloris Leachman, Jon Shepodd, George Chandler, June Lockhart, Hugh Reilly, Todd Ferrell, Andy Clyde, Robert Bray, Jed Allen, Jack De Mave, Ron Hayes, Skip Burton, Joshua Albee, Larry Wilcox, Larry Pennel, Pamelyn Ferdin, and Sherry Blucher. The real heroes, of course, were the collies that starred as Lassie. By the time the series reached its final conclusion, the dog had edged out almost all humans. 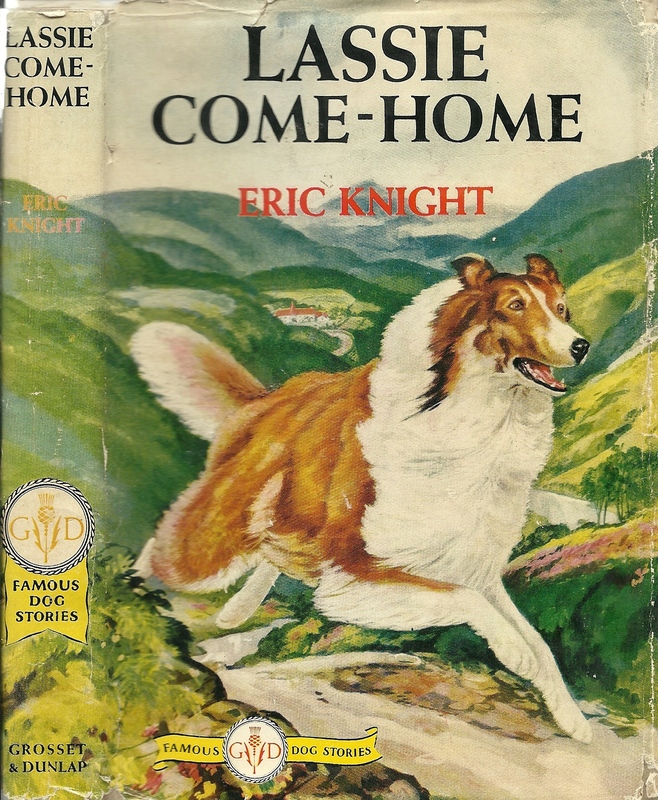 The setting was in America rather than England, and the immortalized epic thousand-mile journey of Lassie in the book, Lassie Come Home, was not depicted at all. There was a later TV series, The New Lassie (1989 – 1991) that was memorable though low budget, starring Will Nipper, Christopher Stone, Dee Wallace Stone, Wendy Cox, and Jon Provost. Though the book has appeared in a number of editions, it was originally published by the John C. Winston Company. Grosset and Dunlap thereafter took it into the mass market. Whatever you do, make sure the book you purchase is unabridged. The original runs 248 pages. 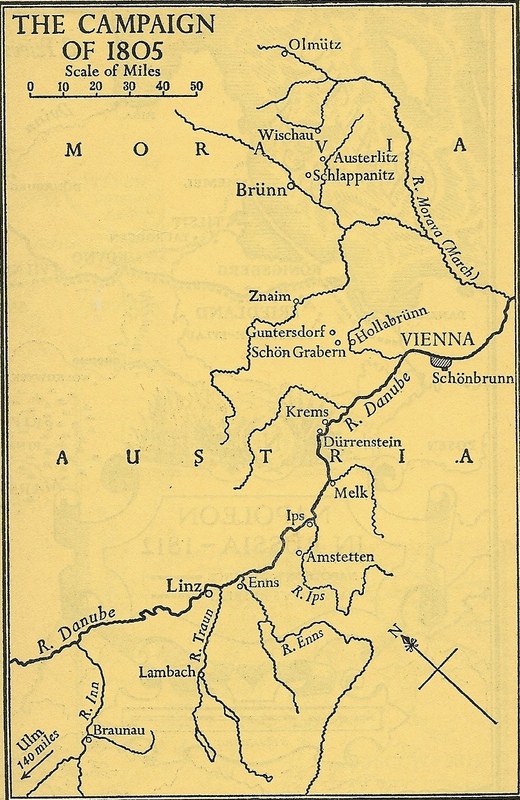 The Grosset & Dunlap runs 186 pages, with smaller print. Avoid at all costs the many popular abridged versions. Will be most interested in your reactions. Like the rest of the world, we’ve been riveted by the sight of millions of Egyptians demanding that Morsi resign his presidency. At last, freedom for the Egyptian people! But then the Military, seeing which way the wind is blowing, steps in, in a semi-coup, and arrests Morsi and key Brotherhood leaders. Freedom at last! Not so quick: not necessarily—for how do you so cavalierly dispose of 30% of the Egyptian people? For this dispossessed minority howls their indignation that their legally elected president has been removed by force, without due-process of law. No matter that Morsi and the Brotherhood had abused their power and done their utmost to stifle all dissent—which had caused the public outcry in the first place. The whole world watches, waiting for a counterattack from the leaderless Muslim Brotherhood. It doesn’t take long: in a confrontation, the Military fires on a Brotherhood crowd, resulting in significant casualties. Meanwhile, there is nobody on first except the Military, for the civilians, Coptics, etc., in the middle seem paralyzed by indecision, unable to marshal behind a democratic leadership team. Sadly, reminiscent of an earlier scenario in imperial Russia when Czar Nicholas II’s soldiers fired on a crowd of protesters. By that act of firing on his own people Nicholas II lost his legitimacy. In the bloody aftermath, the leader of the moderates, Kerensky, dithered around long enough for the ruthless well-organized Bolsheviks, led by the steely-eyed Lenin, to triumph by default. And democracy lost out in Russia. Russia briefly regained that freedom after the fall of the Berlin Wall, only to lose it again to a former KGB operative, Putin. But back to Egypt. Currently there is a standoff between two roughly equal powers: the Military and the Brotherhood, neither of which appears capable of tolerating a democracy to take center stage. The Brotherhood has been discredited by its Morsi dictatorship and the Military has been discredited by firing on its own people. Meanwhile, the Egyptian people and the world can only watch helplessly while the stalemate continues. Can a miracle still occur, and democracy emerge? No one knows. We can only wait—and hope.